One year later, Bart Aalders and his wife Nettie, the second generation, both started to work for the hotel. Striking detail: Nettie was born in 1942 in the inn, that is Hotel Aalders today! From 1965, they are completely in charge of the hotel and Jelle Aalders (first generation) manages a hotel in Groningen. Weekdays from early morning (6:00 am) to late (1:00 pm), were the norm in those days. From 1984, at least they had to climb less stairs in this stately building: a lift was built in the hotel. Not an easy task in a building that was constructed in the early 1900s. The same year the third generation started working for the family company, Bart Aalders junior joins. Sadly, Jelle Aalders dies in 1988, the moment when ownership passes from the first generation to the second generation, Bart and Nettie. Sabine, the second child of Bart and Nettie, also starts working for Hotel Aalders from 1990. In 2008, Rick Aalders starts his career at the hotel. No less than four generations working in the hotel. 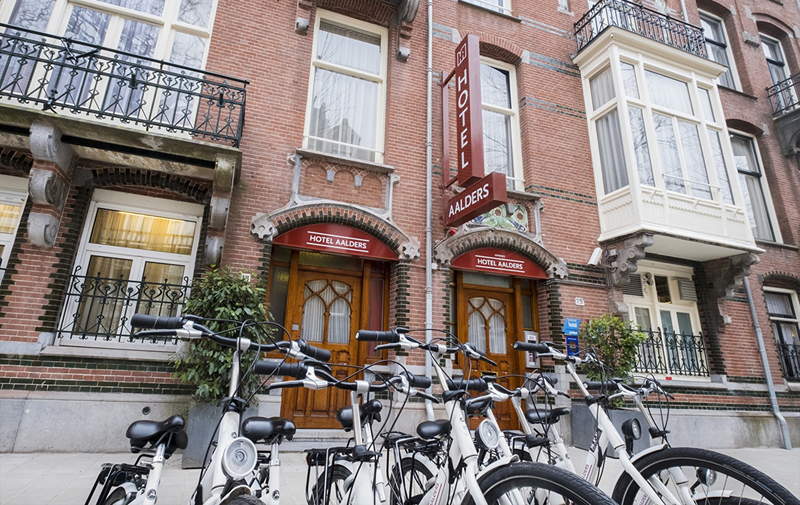 In 2014 Bart Aalders Sr. and Nettie take the decision to stop working and they hand over the daily management of the hotel to their children and grandson. They are both still the owners of Hotel Aalders.